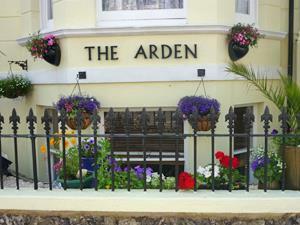 Arden House sometimes limits bookings to 3 or more days. This room is on the 3rd floor. It has 2 single beds and one double bed. There is a dividing wall for privacy. Each side has its own tv and refreshment facilities. It has ensuite shower and separate handbasin. Family B&B sometimes limits bookings to 3 or more days. Premium Twin sometimes limits bookings to 2 or more days.